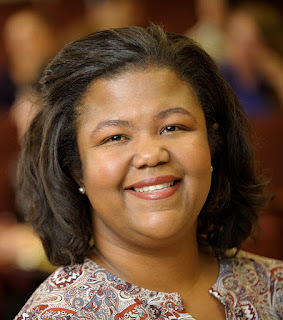 This week’s blog post is a piece from Nicole A. Cooke, originally published in Library Journal's September 15, 2013, issue and used here with the author’s permission. Considering recent conversations, including those over editorials “The MLS and the Race Line” and “Diversity Never Happens” by former LJ editor in chief Michael Kelley, and my efforts to create a for-credit class about library services to diverse populations, I suggest an additional dimension to the LIS diversity recruitment agenda: strategic, ongoing, and purposeful recruitment of diverse candidates to the LIS professoriate. According to the latest Association of Library and Information Science Educators (ALISE) statistics, only 3.83 percent of full-time faculty members are Hispanic, compared to 16.7 percent of the total population (according to 2011 U.S. Census Bureau estimates); while African Americans comprise just 5.39 percent of full-time faculty, compared to 13.1 percent of the population. Another 15.33 percent of LIS full-time faculty are of Asian/Pacific Islander descent, compared to 5.2 percent of the population; and American Indian/Alaska Natives comprise 0.84 percent of full-time faculty, compared to 1.2 percent of the population. Caucasians make up 74.61 percent of full-time faculty, compared with 63.4 percent of the population. In an article in Education Libraries, Paul Jaeger and Renee Franklin propose that increased numbers of minorities in the LIS professoriate will shape and transform LIS graduate curricula and programs, which in turn will impact and inform the next generations of minority librarians, who will then adequately and appropriately serve the diverse communities that patronize libraries. One hopes the model of these minority librarians will inspire up-and-coming students to pursue librarianship as a career. Efforts along these lines already exist, such as the Spectrum Doctoral Fellowship from the American Library Association (ALA), an outgrowth of ALA’s successful Spectrum Scholars Scholarship Program funded by the Institute of Museum and Library Services (IMLS). I was one of 12 inaugural fellows in the program, who began doctoral study in 2007 and 2008. Fellows were drawn from the four underrepresented ethnic populations (American Indian/Alaska Native, Black/African American, Hispanic/Latino, or Native Hawaiian/Other Pacific Islander). Most of the Fellows were librarians, and our interests ranged from distance education and information behavior to LIS education, technology, and critical studies to archives, academic librarianship, and medical librarianship. We fanned out to LIS schools nationwide, and so far three have graduated and are now tenure track assistant professors teaching in LIS graduate programs. In fall 2013, a new round of six librarians will begin PhD curricula. This program is special because it aims to increase the ranks of the LIS professoriate with scholars from underrepresented populations. The focus is on teaching and research that will put minorities in front of LIS classrooms and facilitate the creation of research and publications for and about diverse ­populations. Where do we find good candidates to apply to doctoral study and ultimately join LIS faculties? Kelley suggested recruiting from the LIS workforce for master’s programs. We should do the same for doctoral study. Concerted efforts should be made to recruit practicing librarians who are fired up by research and teaching and are looking for another dimension of librarianship and perhaps an alternative way to advance their careers. Where are the instruction and information literacy librarians, school and youth librarians, and catalogers who bring distinct expertise to the table? ­Practitioners’ depth of experience enriches the classroom experience and can address real-world questions in ways that reflect an understanding of both theory and practice. Adjuncts should not be the only graduate school instructors who bring practical experience to the discussion. This is not to say that faculty life for diverse candidates does not have challenges. Diversity issues in LIS schools require care and deliberate attention to retention and inclusion issues [for example, a new interview series at my school, Reflections on Inclusion]. Our patrons are diverse and should have access to librarians who themselves represent diverse populations; similarly, to attract and retain excellent master’s candidates from diverse backgrounds, there should be faculty members from similar backgrounds who share their needs and experiences. The better, and more inclusive, the graduate education experience for diverse candidates, the better prepared they will be to serve diverse patrons in their libraries. Absolutely informative and right along with my campaign for the need of diverse librarians (#WNDLibs)! I'm going to add this post to my slideshow as a resource. Finally, thank you for sharing this Plymouth Rock of enlightenment! This mentality resonated within me as I traversed through graduate school to earn my MLS.